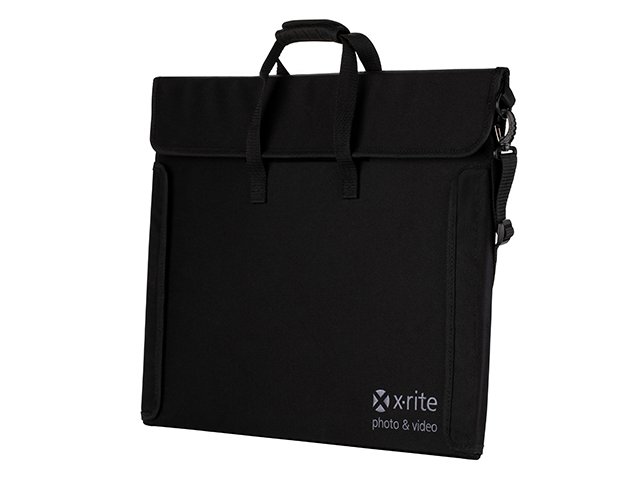 X-Rite ColorChecker® Video XL is designed for those longer and wider shots when you need a larger reference target. 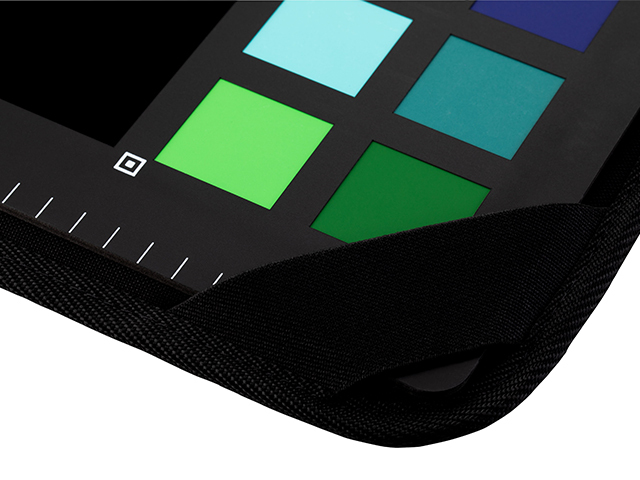 It will speed up your color correction process and save you hours in post. Use it to nail exposure, match multiple cameras and maintain consistency during changing light, so you can tell your story as perfectly as possible. Filmmakers, DITs, Editors and Colorists: Get to your ideal color place faster! The ColorChecker Video XL provides an extra-large format for effortlessly capturing the target at greater distances and wider angles. 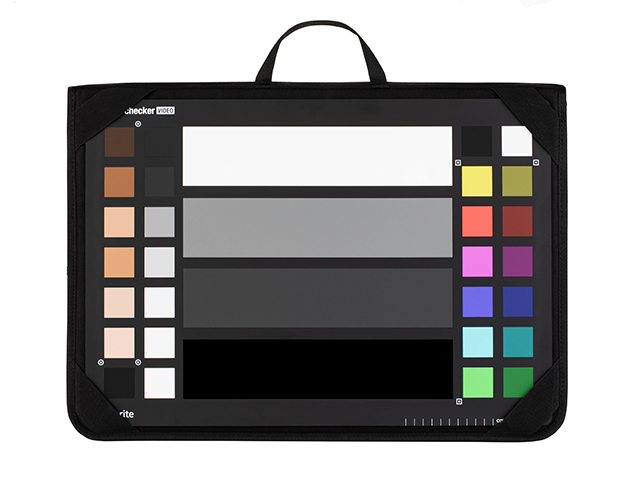 It provides the same chromatic colors, skin tones and gray reference chips of the standard size ColorChecker Video, but twice as large. You’ll be able to eliminate the need to move your camera closer or adjust the focal length of your lens, shoot in the same lighting condition that is falling on your subject and minimize color casting from any surrounding light. You’ll also be able to increase the capture resolution for more accurate post-production work. 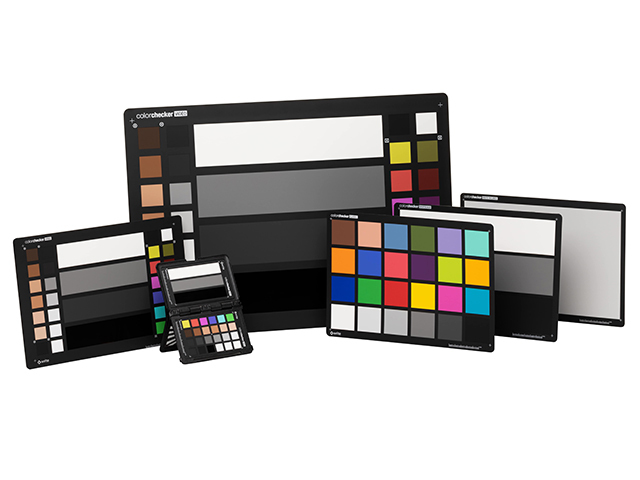 The ColorChecker Video XL works with popular filmmaking tools like waveform, vectorscope, zebras and more. 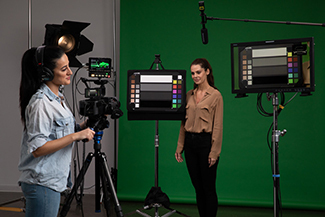 Using a ColorChecker Video XL target at capture gets you to a worry-free, color balanced, consistently neutral and an ideally exposed place faster than ever before. 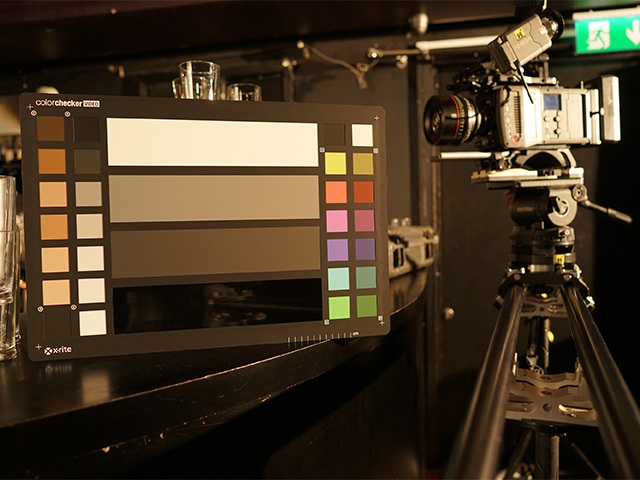 It’s an essential color tool you won’t want to be without, saving you valuable time from pre-production through post. 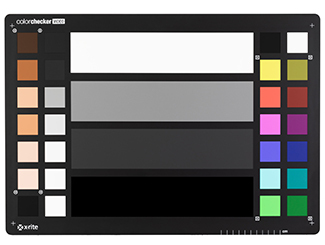 Including the ColorChecker Video XL target in your production will allow everyone on your team – from producer and cinematographer to editor and colorist – to work with consistent color information. This saves time from pre-production through post and helps you get to your creative look faster. 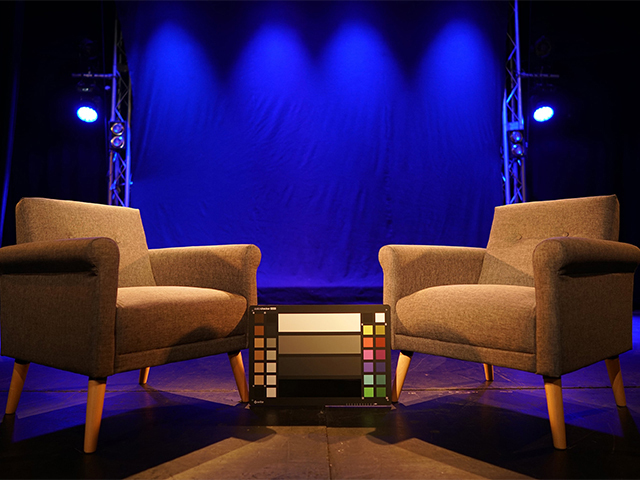 Achieving the proper color balance and exposure for video can be challenging. F-stops don’t always match. Ambient lighting conditions change. Multiple cameras and lenses have different looks, even if they are the same brand and model. When you are on a large set, larger venue, or capturing aerial shots, it can be even more challenging to capture small reference targets. This adds up to quality challenges and increased workload in post-production for your colorist or editor. 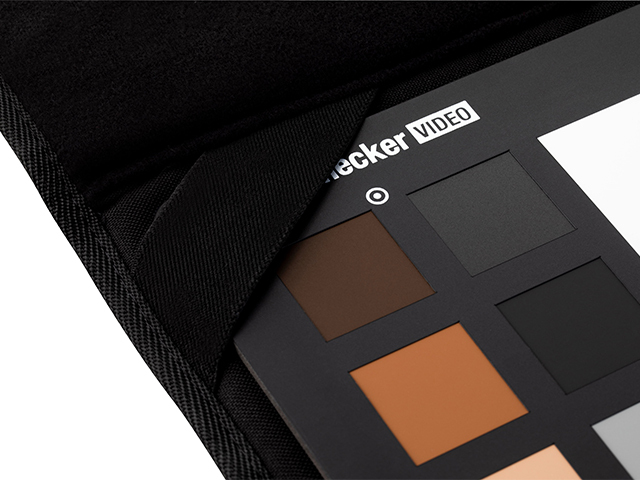 ColorChecker Video XL is available with or without a protective case. Speed up your color grading workflow by achieving ideal exposure and color balance, whether shooting with one camera or multiples. 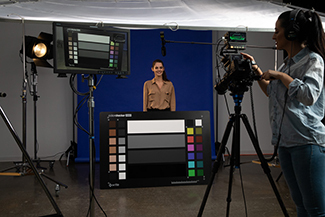 The ColorChecker Video XL target is twice the size of our standard Video target and includes the same series of chromatic color chips, skin tone chips, gray chips and illumination check chips. This layout is designed for ideal performance when used with vectorscopes and waveforms, whether on camera or in software. Chromatic Colors: Two rows of six chromatic color chips, both saturated and de-saturated are specifically designed to align with the primary color axis on a vectorscope. 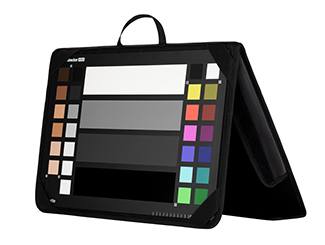 These colors provide two levels of color information to more quickly correct for color casts and achieve an ideal color balance. Skin Tones: Ranging from light to dark with subtle undertones to better reproduce accurate flesh tones. This row is positioned on the outer edge of the target for easy alignment on the vectorscope. Large Gray Levels: Four larger steps for even gray balance, including white, 40IRE gray, deep gray and high gloss black. These levels are ideal for determining proper exposure whether you use a waveform, zebras, or false colors. Use these levels to align the exposure and contrast of cameras you may be matching and ensure that mid-tones are rendered accurately. They are positioned in the center of the target for maximum ease. Linear Grayscale: six color chips for achieving even gray balance. This row addresses highlight and shadow regions. Illumination Check Chips: black and white chips at two corners to better assist in determining even illumination across the target. 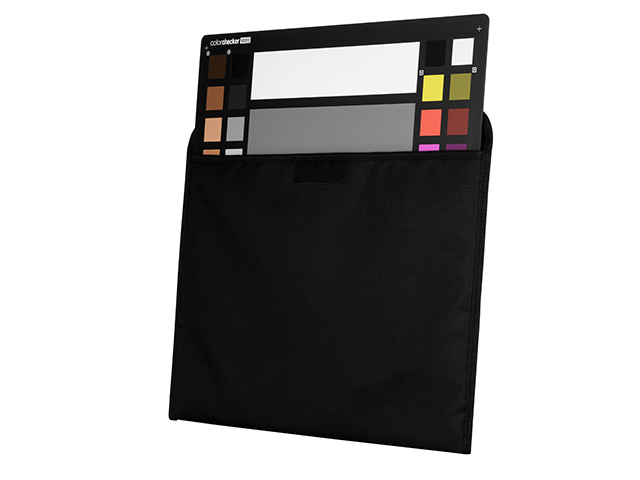 Includes ColorChecker Video XL target and durable black sleeve with soft tricot interior. 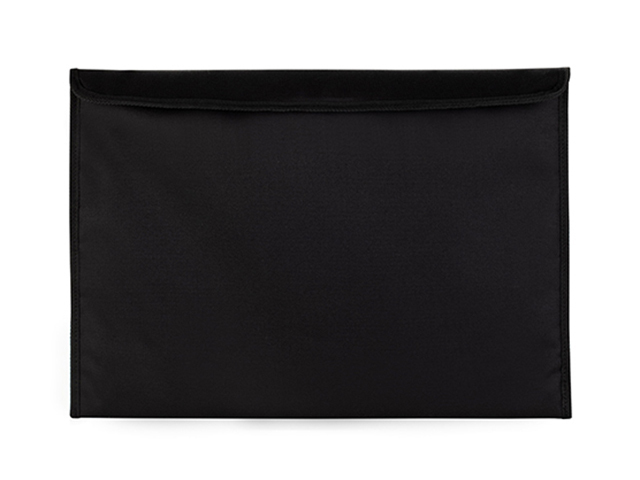 Sleeve and target can easily be transported in a hard shell carry case with your other video equipment. Zippered back pocket for storage. No matter how big your story, we’ve got you covered. Choose the one that lets you tell your story as perfectly as possible. Including ColorChecker Video targets in every shoot makes your video workflow faster, more consistent, more balanced and repeatable. You’ll save time and money avoiding costly mistakes and frustrating color corrections after the fact. Best of all, it helps you get to your creative look faster, which is ideal because we all know how much you love being in your creative place. 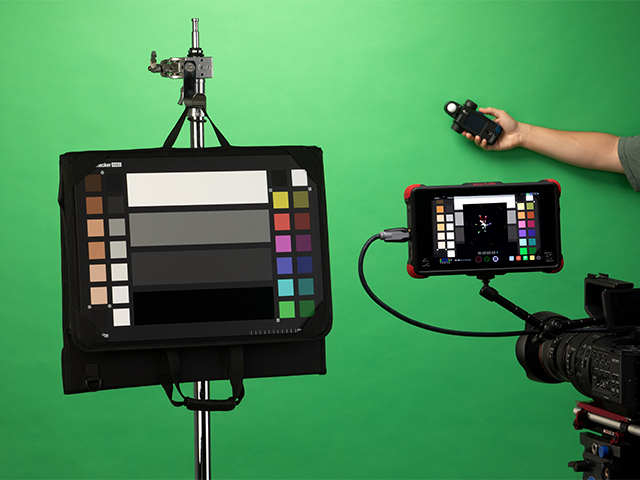 The i1 Filmmaker Kit is a convenient kit of two essential color tools – i1Display Pro and ColorChecker Passport Video – combined to achieve fast, efficient color balance for any video production. 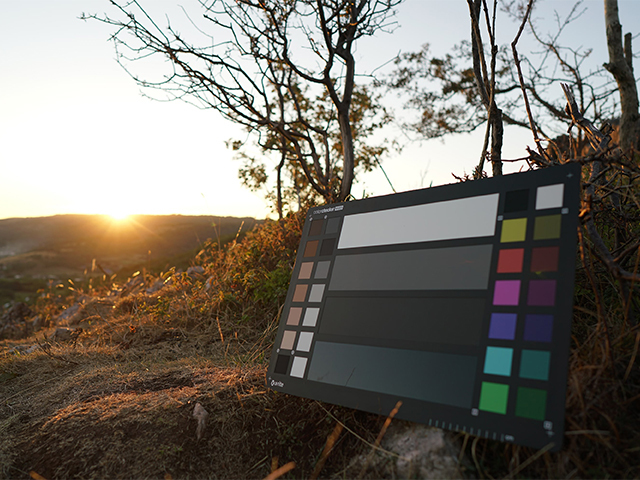 “X-Rite’s ColorChecker Video XL provides the only solution for aerial photographers to easily match colors from their aerial platforms and ground cameras." 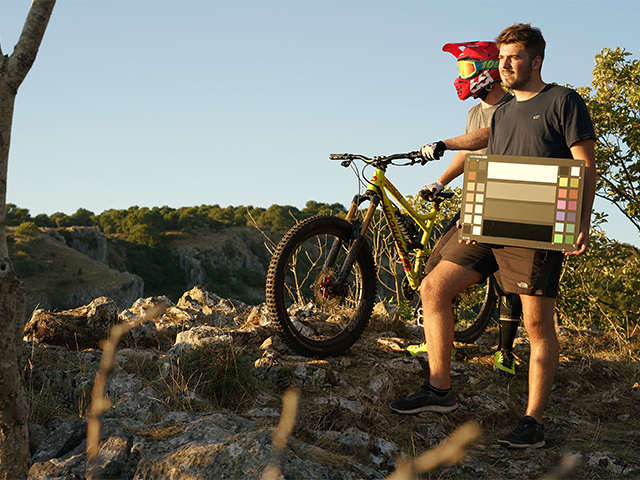 "The ColorChecker Video XL is great for drone shots. 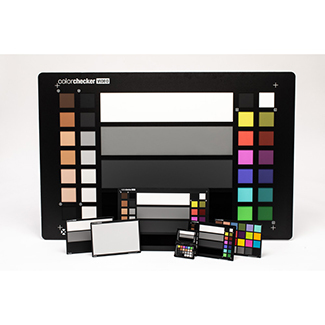 . ."
"The X-Rite ColorChecker Video XL allows ease of use on set. 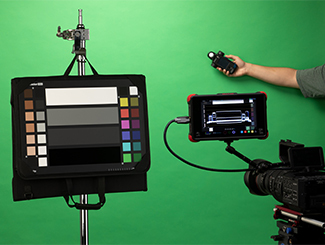 . ."
"The ColorChecker Video XL is making my job just that little bit easier. . ."